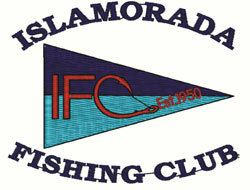 Since 1950, the Historic Islamorada Fishing Club has played host to some of the most prestigious sportfishing tournaments in the Florida Keys! This rich tradition continues as our area’s premier anglers, captains and mates face oﬀ in the IFC Sailﬁsh Tournament, and vie for one of the largest winner-take-all purses in the Upper Keys! Do not miss this opportunity to be a part of the competition, camaraderie and professionalism that form the foundation upon which future sportfishing legends are written!